Opening And Brief Synopsis: Little Beaver lived all alone by the edge of a big pond. He didn’t have any brothers. He didn’t have any sisters. Worst of all, he didn’t have any friends. Little Beaver cries out in his loneliness and hears that someone across the pond is lonely too. His kind heart doesn’t want anyone to be sad, so he sets out to find this other lonely creature and solve both their problems. 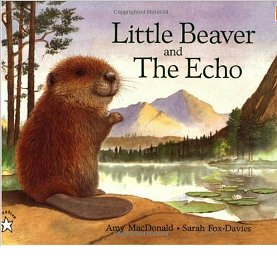 Why I Like This Book: Little Beaver And The Echo is a simple, sweet story about friendship. The story line is quiet. The illustrations are warm and engaging. To me, this is everything a picture book should be – pleasant, comforting, entertaining, and beautiful. It interests me that School Library Journal panned this book when it came out. They called it didactic, neither realistic nor convincing, confusing, flat, precious, and predictable. Ouch! And yet this book has been successfully in print for over 20 years, and is a story my children asked for again and again that I was happy to read. It just goes to show different people react to books in different ways! I’d be interested, if any of you have read Little Beaver, to know what your take on it is! 3 finalists will be chosen for you to vote on Monday December 26. The winner will receive their choice of a $15 Amazon gift card (to buy themselves whatever book they really wanted and didn’t get as a holiday gift :)) or the 2012 Children’s Writers and Illustrators Market! I love your PB Fridays, Susanna. I'm getting good ideas for my nieces and nephews! Yes, I'm the aunt who gives books for birthdays and Christmas. 🙂 But luckily they all love to read, and I hope they always love it! That book sounds so familiar to me… and it sounds as though I'd love it. The book looks great–and twenty years in print is a success!! Erik – I don't know what's up with you and those links, but it doesn't seem to be here yet! Want to try again? Beth – you've probably read it – it's been around for a while. I just like the sweetness of it! Coleen – thanks, you too! Angela – I know! But I guess that's what makes it all work – the fact that different books appeal to different people! Saba – the link list is right at the bottom of my post, but don't worry – I'll put it in for you 🙂 Thanks for joining in! Tracy – I'm so glad you like it! And I can't wait to see your contest entry!!! Catherine – I can't wait to read them either – I hope we get some! Leigh – I don't deny it's quiet, but I like quiet 🙂 It's the kind of book I write, hence my most frequent editorial comment – “lovely writing, too quiet”! Sophie – I'm so glad you like it too! Jennifer – welcome! I think you're new here? So glad you stopped by 🙂 and glad you like the look of Little Beaver – it's a cute story! Diane – no worries 🙂 I love reading all the reviews too! Aww…that beaver made me squee with its cuteness! Poor lonely little beaver, and what an intriguing adventure he sets out on! Great recommendation! Oh, Janet – I surely hope you can scrounge up time! You've still got hope – you have all the way until Thurs. 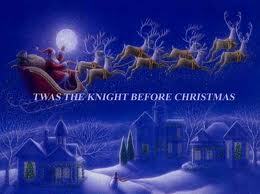 Dec. 22 at 11:59 EST to get your story written and posted. You can do it! Susanna! I have officially posted my holiday contest entry on my blog: http://www.bananapeelin.blogspot.com. Do I need to do anything else? Thanks so much for doing this! Anyway – I had composed a T'was the Night before Christmas poem just out of the blue and then two days later discovered this blog. Fate? Coincidence? You decide. Happiest of Holidays and a blessed New Year.